A burst pipe can be a very stressful situation, but don’t worry. The Mott Plumbing experts are just a phone call away! While a burst pipe can seem like a time to panic, luckily most of these problems can be easily fixed. Our emergency plumbing service means you can relax; we’ll have a solution to those burst pipes in no time! Our Adelaide plumbers are friendly, efficient and ensure the job is done properly the first time around, saving you time, stress and money. Mott Plumbers have extensive experience in repairing and replacing burst pipes and our vans are stocked with a broad range of materials and equipment to provide 24-hour emergency repairs to your burst or leaking pipe problems straight away. We know how easy it can be to ignore these problems until it is too late, and our qualified tradespeople can provide fast, professional repairs or replacements to any of your burst or damaged pipes. If you suspect there may be a problem with your pipes, there may be hidden issues in your piping system. 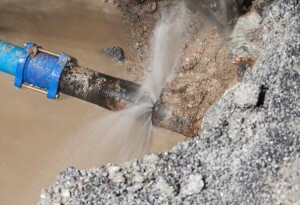 Our Adelaide plumbers can diagnose any hidden or previously undetected pipe leak issue. While most burst pipes are very obvious, there can often be a burst or leaking pipe that goes completely undetected. 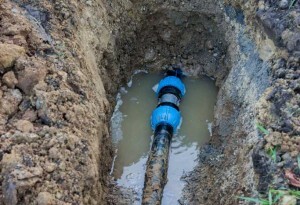 If you have noticed a recent unexplained increase in your water bill, reduced water pressure, or a mysterious puddle on your property, you may just have a burst or leaking pipe on your hands. Our professional plumbers can locate the problem and determine the best course of action to make the repair. We are plumbers that think on our feet and attack concealed water leaks with precision. We aim to achieve minimum consequential damage to the existing building when tracing, exposing, and repairing leaks. We use electronic dampness meters to help pinpoint the most likely position of the leak, minimising the additional costs to repair building damage associated with this process. Unlike other plumbers who may need to tear lots of holes in walls searching for leaks, our non-invasive approach eliminates the need for any unnecessary damage and limits further costs. If concealed leaks are evident but left unattended they can cause substantial building and potential structural damage. High excess water charges or evidence of dampness inside or outside your building can be indicators of a leak. If you suspect a leak, get in contact with the expert team at Mott Plumbing. Our Adelaide plumbers will conduct some simple tests to determine whether you have such problems and what your repair options will be if required.